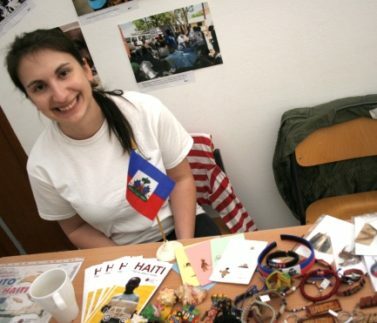 November 15th 2017, Zábřeh – Klára Lőffelmannová from the Archdiocesan Caritas Olomouc is back from her mission in Haiti. She now starts giving her lectures about the mission. First, she pays a visit to the pupils from the Elementary School in Zábřeh. Local teachers and children plan to hold a charity exchange on 1st December 2017. Children will bring toys, with which they do not play anymore, and they will sell them among schoolmates. Money from this pre-Christmas event will support their Haitian classmate from the Child Sponsorship Programme. “Do you know where exactly is Haiti?” asks Klára the auditorium full of children. The photos and short videos from the field liven up the lecture and the children get to know more than one interesting thing.  The word Haiti comes from Creole and means Mountainous Country. The nature in Haiti is beautiful, but this picture is damaged by the garbage on the beaches and roads. There are no trash bins in Haiti and there are no garbage trucks. “Also there isn’t any sewerage, so when it rains, water has nowhere to drain. Last year we’ve experienced one of those floods in the capital city Port au Prince,” comments Klára the photo of over-decorated bus which drives through flooded road. In the next photo there is a woman at the market sitting next to the large bowl full of something white. “What could it be?” The children guess, it was rice or a coconut. But the truth is far from it. “It’s salt. 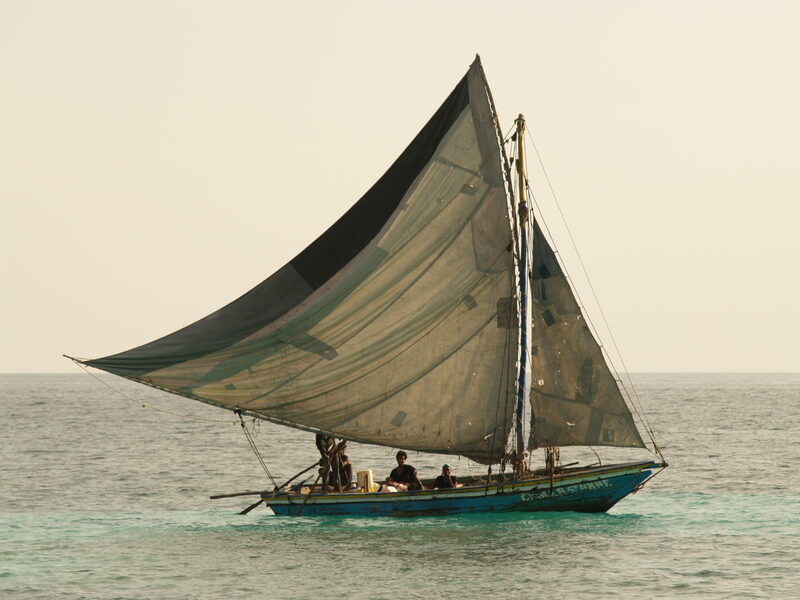 Haitians gain it thanks to the evaporation of sea water,” Klára reveals the secret. Even rice is available in Haiti. Rice and beans are actually their national food. It is the cheapest food and it feeds them well. The pupils from the school in Baie de Henne, Gonaives or Roche-a-Bateau often eat this meal. Those schools are supported by the Archdiocesan Caritas Olomouc together with the Czech donors. “For most of the children this one meal is the only meal per day,” points out the humanitarian worker. 80 % of Haitians live beneath the poverty line. This means they have to live from only 2 USD per day. Next photos show how the clay hut with a roof from palm leaves looks like. They soak very easily in the rain. In the next photo we can see some better shelters with metal roofs or a nice smaller house where eight members of one family lives. 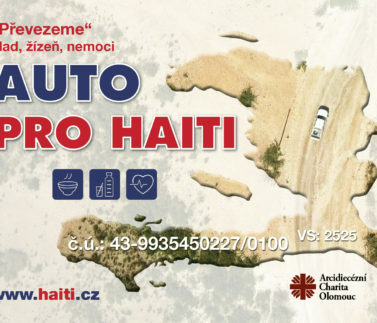 The Caritas together with the Czech donors helped Haitians to build the shelters which were destroyed by the hurricane Matthew last year. Klára shows the roofless houses and churches to the kids immediately followed by the photos from this year where the buildings have its roofs again. “And what time is in Haiti right now?” asks one boy. The clock in the auditorium shows it is after 8 a.m. “Still night, in Haiti there is 5 hours less than in our country,” answers Klára. The children watch a video from the Health Camp where 240 children from Baie de Henne have been treated. 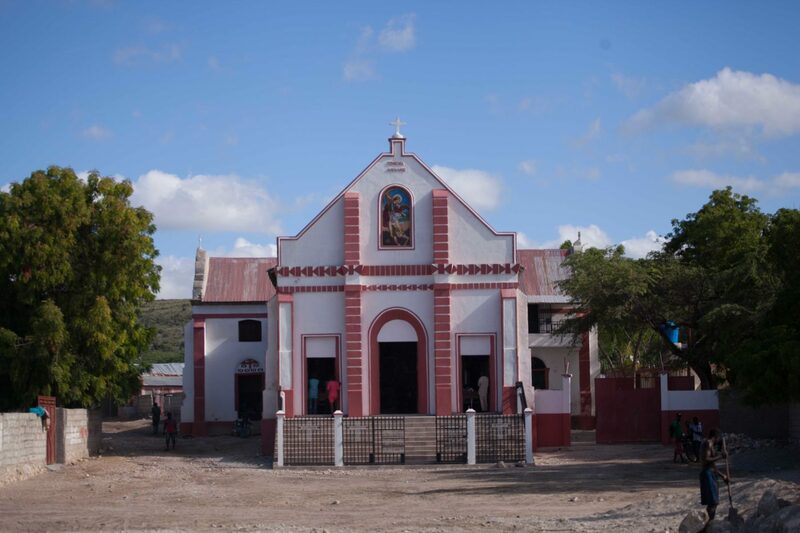 Also they watch some other videos which show the school in Gonaives or in the village Roche-a-Bateau. The school in Zábřeh supports one boy, Dave, through the Child Sponsorship Programme. 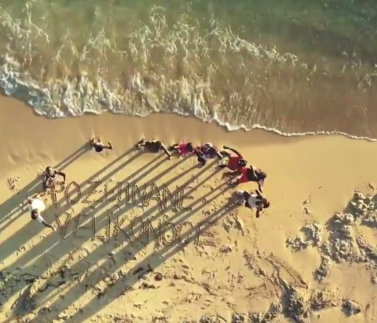 But the pupils receive an unexpected message. “The Sisters who run the school told me that Dave has moved out with his family to Chile. They hope that they’ll have a better life in there. 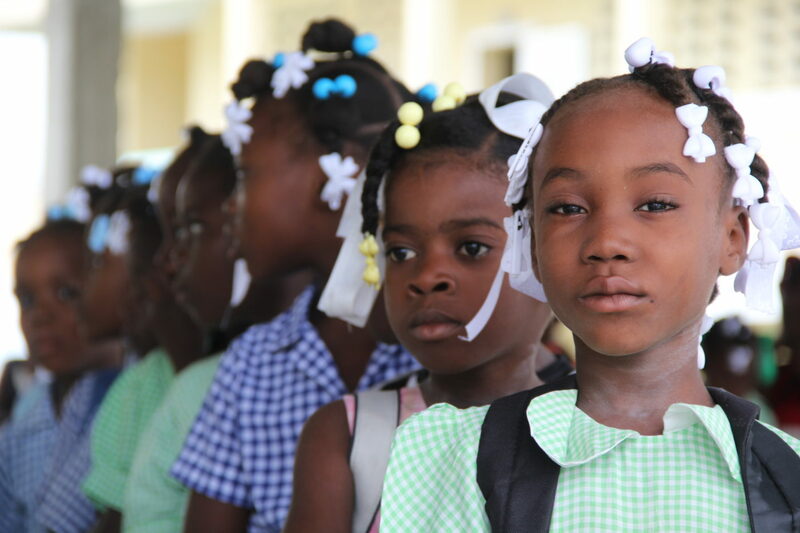 After all it’s quite hard to live in Haiti…” The children and teachers understand the situation. And instead of Dave they decided to support another Haitian boy. They will support him in a charity exchange which they have planned to hold on 1st December 2017. “The children will bring the toys which they’re not playing with anymore and we are going to sell them. The price of one toy won’t be over 50 CZK. 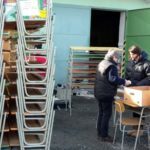 We’ve already gathered some toys, the children bring most often the soft toys,” says Mrs. Pavlína Hamplová, teacher at the school in Zábřeh. 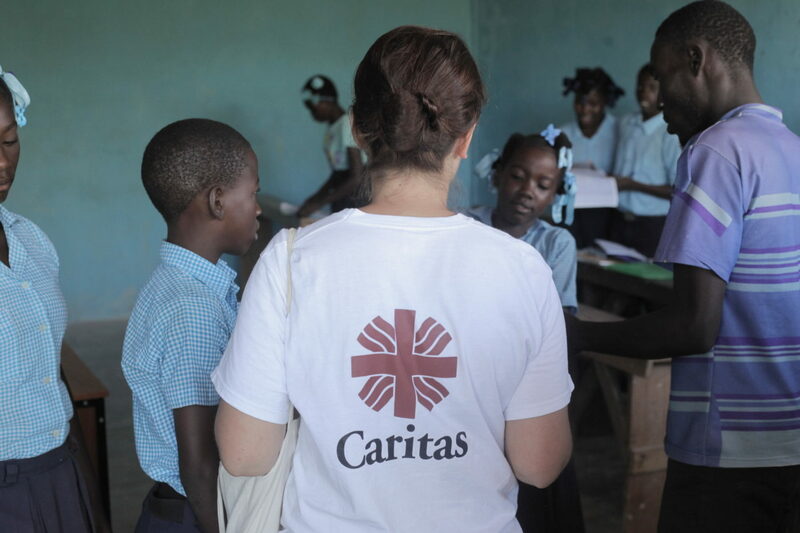 Klára thanks all for their help and interest in poor Haitian children. She also forwards a message and greetings from the Sisters of St. Joseph, who run the school in Gonaives. 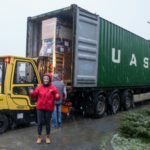 Container for Haiti: We are loading the things on pallets already! © Copyright Acho. All rights reserved.